Did you wake up this morning, step out of bed, and feel a sharp, stabbing pain in the bottom or back of your heel? Did the same thing happen when you were sitting at work for a while? Here’s the good news…it’s not because you’re getting old! You are experiencing one of the most common syndromes that we see in our Claremore podiatry offices. Heel pain is most often caused by plantar fasciitis, which is also known as heel spur syndrome. 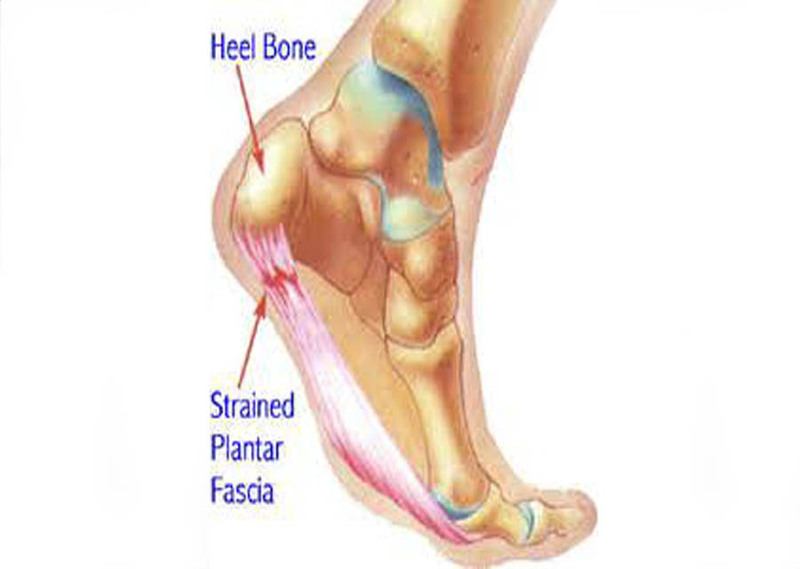 Plantar fasciitis is an inflammation of a ligament that extends from the heel to the toes. The ligament becomes inflamed, which results in heel pain. Pain in the back of the heel is often due to an inflammation of the Achilles tendon. Heel pain can begin very intermittently, but in the following days, weeks, and months, it becomes more consistent, greater intensity, and can even spread to the other foot. For this reason, heel pain is best treated as early as possible, before the pain becomes worse. The most common cause of plantar fasciitis and Achilles tendinitis is due to faulty mechanics of the foot. People with overly flat feet or high-arched feet are more prone to developing plantar fasciitis. Shoes also can contribute to plantar fasciitis, especially shoes like flip-flops that are not supportive. Plantar fasciitis generally responds well to conservative, non-surgical treatment. These include stretching exercises, medications, padding and strapping, orthotic devices, injection therapy, night splints, and physical therapy. If conservative treatment fails, a new treatment known as shockwave therapy can be used. This procedure aids in eliminating the inflammation of plantar fasciitis without an invasive surgery. For a very small percentage of people who do not respond to these treatments, surgery would be a solution.